From Marilyn Hilkemann of Wolf Point, Montana on 2/5/2018 . I heard part of this radio drama, and wanted to read the complete book. What a good story, that teaches children and adults. From Janet West of Smyrna, Tennessee on 12/27/2017 . This is a sweet story and a quick read. I enjoyed the book and passed it on to a friend as a little Christmas gift. 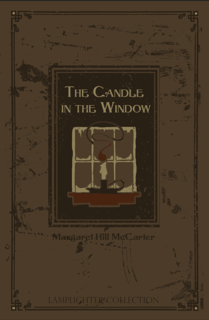 I wanted to share the story and also to introduce her to Lamplighter Publishing! From Shirley of Lynchburg, Virginia on 12/26/2017 . I loved this book and also the audio part. Valuable character thoughts throughout. That is why I love these books, life changing values within each one. I did my candle in the window on Christmas Eve, The Light of the world reminder. From Anonymous of Ray, Minnesota on 11/27/2017 . Highly recommend this story. The audio drama is great as well. Makes a great gift, especially around Christmas time!